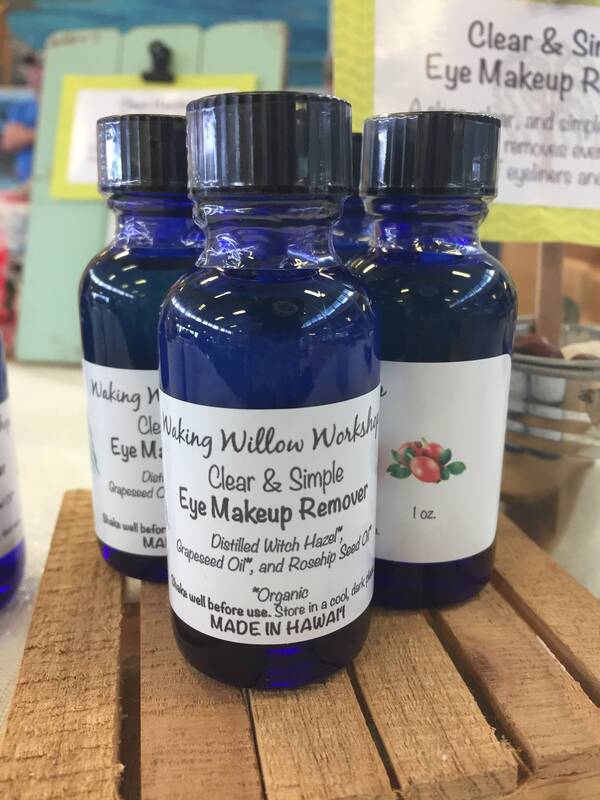 Finally, a clean, clear, and simple eye makeup remover that really works. Removes even the toughest waterproof eyeliners and mascaras. 3 Simple Ingredients: Distilled Witch Hazel*, Grapeseed Oil, and Rosehip Seed Oil*. Available in 1 oz. and 2 oz. glass bottles.